The only time most consumers want to see a car catch on fire is during a high-action movie. So it’s probably for the best that Toyota issued a recall of nearly 423,000 Lexus vehicles for a fuel leak issue that increases the risk of fire. 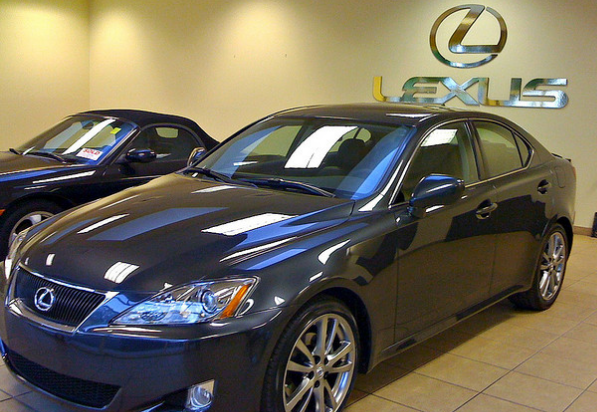 The Associated Press reports that the latest recall covers 422,509 model year 2006 to 2011 Lexus GS sedans, model year 2007 to 2010 LS sedans and the 2006 to 2011 IS sedan. Officials with Toyota say the vehicles’ fuel lines, which have nickel phosphate plating to protect against corrosion, may have been built with particles coming into contact with a gasket. If that’s the case, the sealing property can deteriorate and trigger a fuel leak where the fuel pressure sensor is attached to the fuel delivery pipe. If a spark were to occur a fire could start. Toyota reports it is unaware of any fires or injuries related to the issue. The AP reports that Toyota began looking into the matter in June 2010 after getting a report of a gasoline odor coming from an owner’s engine compartment. During the investigation, the company received six reports from the field and 238 warranty claims about the issue. However they didn’t find the cause until last year. Owners of affected vehicles will be notified of the issue starting next month, and dealers will repair the issue.